Ruby for New Moon in Leo 8-2-2016 – GemPowerment. Reveal your light. 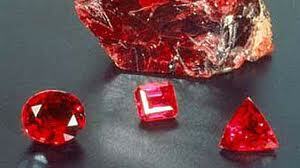 Ruby for courage to take actions on manifesting the desires of our Heart! Hello my beautiful and sparkly GemPeople!! Wishing you many blessings for this New Moon in Leo!! With the Sun and Moon and Venus in Leo, on a “2” day, it’s all about Love, courage, and more love – both with our family and friends, and for our planet. With a bunch of planets in fire signs, we burn brightly with passion and empowerment. We are free to follow our Heart’s Desires, and have energy to lovingly create from our Soul. How will you channel this energy, GemPeeps? Well, Ruby is stepping up to help you. This red variety of corundum carries the Red Ray for the planet and is associated with the healthiest expression of the Root Chakra. Was it not Ruby that was used as the first laser, which is the definition of concentrated, coherent Light? Ruby connects with and opens the Root and Heart Chakras. It assists with dissipating physical and emotional congestion of energies, especially those associated with the Fire element (heart, small intestine, pericardium, and triple warmer meridians). It is a lens through which Light Codes can pass to modulate the energy for cellular restructuring and DNA/cellular repair. Now is the time for us to release emotional and physical congestion or patterns which are holding us back from activating our DNA and Lightbodies, and embracing our Enhanced Divine Blueprints. Ruby has long been known to be a stone of kings – and we are coming into our birthright. We are all re-birthing today! Guidance advises that you can interact with Ruby by wearing in jewelry, which would be the best way, and/or you can make a gem water than will hasten any cellular or energetic changes that need to be made. If you do the gem water, make sure your Ruby is natural and make sure you remove it before you drink the water.